Lahore: The Punjab Government is in a process of legislation to make the Sports Festival a regular annual feature to keep the youth engaged in sporting activities for sharpeing their skills in nation building. 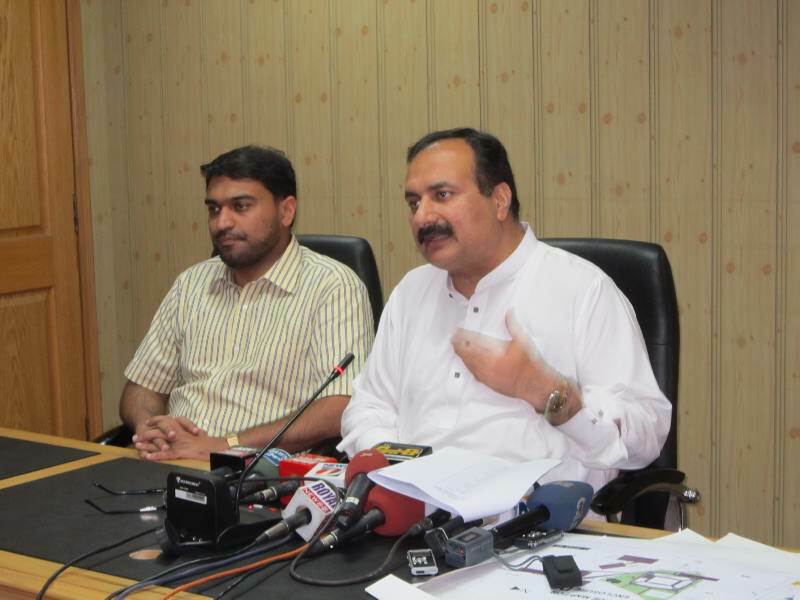 Addressing a press conference here on Tuesday, Chief Organiser of the Festival and Deputy Speaker Rana Mashood Ahmed Khan said that it was due to the vision of Chief Minister Punjab Mian Shahbaz Sharif and coordinated effort of SBP Chairman Hamza Shahbaz and the team work carried out under the leadership of Director General Sports Board and Youth Affairs Punjab Usman Anwar, the country’s name is being seen in the world positively.“It was all due to the team work of all those who worked day and night to make the Punjab Youth Festival a success which has now entered into its international phase.“Fulfilling the promise of national harmony, the Punjab Government is holding the Inter-provincial Games in the Punjab International Sports Festival 2012 and as a good will gesture the Deputy Chief Minister of Indian Punjab Sukhbir Singh Badal along with 48 members of business community and 56 athletes will be taking part in the International chapter of the Festival,” said Rana. Giving a brief account of the opening ceremony which is to be held on Wednesday at the National Hockey Stadium, Rana Mashood said: “Everyone has seen the previous ceremonies conducted by the Sports Board and for this ceremony we would be going a step above to make it remembered for the rest of the life.” He further informed that the in all 26 teams from different parts of the world are on their way to Lahore to take part in the Festival. “Some of the teams are already here and the remaining would reach the city by tonight. Speaking on the legislation, Rana Mashood informed that an expert team British expats will be formulating legislation under the supervision of Hamza Shahbaz.“We want to give the youth of the country a positive line and hopefully maintain it for a prosperous Pakistan. Even a British Expert believes that there cannot be the best possible way to moblise the youth the way Punjab Youth Festival did in Pakistan,” he added. “The Punjab Government has set a benchmark which cannot be undone,” he added. He further said that the Punjab Government has the capacity to facilitate and provide security to any international team. “We do not want to do politics on sports and if any cricket team is invited to Pakistan, Punjab will provide all the possible security to facilitate them to play here,” he added. Meanwhile, the teams of Kazakhstan, Uzbekistan, Sri Lanka, Nepal, Afghanistan, Belfast, Thailand, Yemen and India have reached the city to be part of the festival. The events to be contested include are baseball, football, fist ball, Touchball, ju-jitsu rugby, Kabaddi while there will be Indo-Pak competitions in hockey, tug or war, wrestling and Kabaddi while the deaf and Dump teams of Pakistan and India will clash in Dosti Cup that have events like cricket, Kabaddi, wrestling, badminton table tennis and chess.